This new page of the SEARCH website has been created to communicate information about proposed legislation in the 2019-2020 Session of the NC General Assembly and to post articles related to those proposed bills. Note, SEARCH’s site will not necessarily be able to remain totally up to date on the status of a given bill. To see current status of a given bill please go to this site and use the search features as shown at the top right in the image below. If you know the bill’s number, such as House Bill 5, just type H5 in the “Bill #” field and hit go. The House Bills (HB) listed below are listed in Bill number order, and the link displays the Short Title as shown on the NC Legislature website. The link will take you to the text of the bill. House Bill 5, “Close the Medicaid Coverage Gap”, was originally filed on January 30, 2019 by the following Primary Sponsors: Representatives Adcock, Cunningham, Insko, Farmer-Butterfield. There were 51 other sponsors. Four of the sponsors represent districts in western NC. The NC Senate proposed the same bill as Senate Bill 3. It is considered a “clean” Medicaid expansion bill, meaning that there are no additional requirements put on future individual recipients other than adjusted gross income, age, and not being currently enrolled in specific other benefits programs. As of April 9, 2019, the last change in status of this bill occurred on January 31, 2019. House Bill 185, “The SAVE Act”, was originally filed on February 26, 2019, by the following Primary Sponsors: Dobson, Lambeth, Stevens, Adcock. There were 43 additional sponsors. Seven of the sponsors represent districts in western North Carolina. This bills is bipartisan and there’s a corresponding bill in the Senate, SB 143. As of April 10, 2019, there has been no change in the status of this bill since February 27, 2019. House Bill 655, “NC Health Care for Working Families, was originally filed on April 9, 2019, with the following Primary Sponsors: Representatives Lambeth, Murphy, Dobson, and White. These are the same Representatives that were the primary sponsors of the Carolina Cares bill in the 2017-2018 Session. There are 22 other sponsors. Four of these sponsors represent districts in western NC. As of April 15, 2019 there has been no change in the status of this bill since April 10, 2019. The Senate Bills (SB) listed below are listed in Bill number order, and the link displays the Short Title as shown on the NC Legislature website. The link will take you to the text of the bill. Senate Bill 3, “Close the Medicaid Coverage Gap”, was originally filed on January 30, 2019 by the following Primary Sponsors: Senators Clark, Blue, and Robinson. There were 16 other sponsors. One of the sponsors represents a district in western NC. The NC House proposed the same bill as House Bill 5. Senate Bill 143, “The SAVE Act”, was originally filed on February 26, 2019, by the following Primary Sponsors: Hise, Davis. There were 12 additional sponsors. Four of the sponsors represent districts in western North Carolina. This bill is bipartisan and there is a corresponding bill in the House, HB 185. The full title of the bill is “An Act to deliver Safe, Accessible, Value directed and Excellent health care throughout North Carolina by modernizing nursing regulations. Articles related to healthcare legislation across the nation as well as in North Carolina are listed alphabetically below by media outlet, then chronologically by date. Independent Lens– Read the article at the link below, and view the full 90-minute video at the second link. 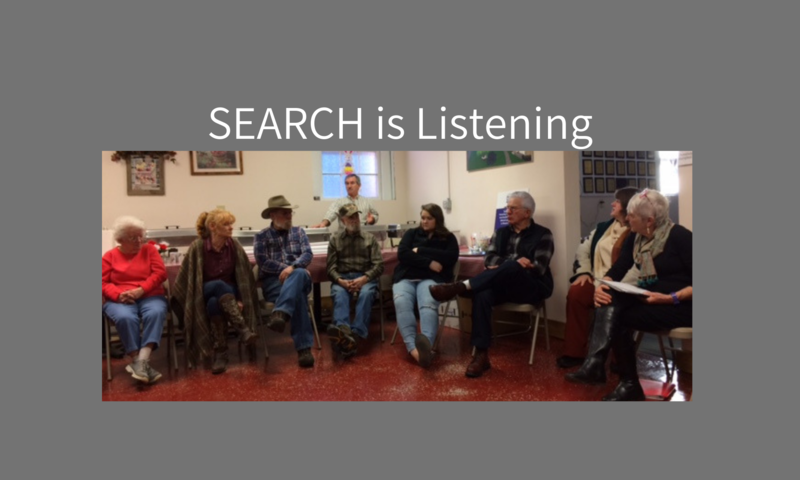 It tells the story of three rural healthcare providers in northern New Mexico trying to make a difference in the lives of their patients against overwhelming odds.